They may not pack the nutritional punch of other green vegetables (broccoli, kale etc.) but they do contain significant levels of potassium to control blood pressure and vitamin C to boost your immune system. 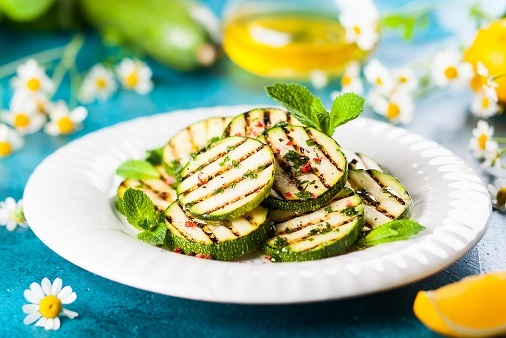 The courgette’s thin dark skin is high in soluble fibre, which slows digestion and stabilises blood sugar levels – potentially getting rid of those pesky mid-afternoon sweet cravings. Soluble fibre can also prevent constipation and help with those horrible IBS symptoms so many people endure.